I always thought it would be cool to collect something. I’ve moved over 15 times over the years, so I’ve never had enough space or patience to deal with having a lot of stuff. In fact, every few months I go through our house looking for any clutter or things we’re not using that I can donate to a charity. 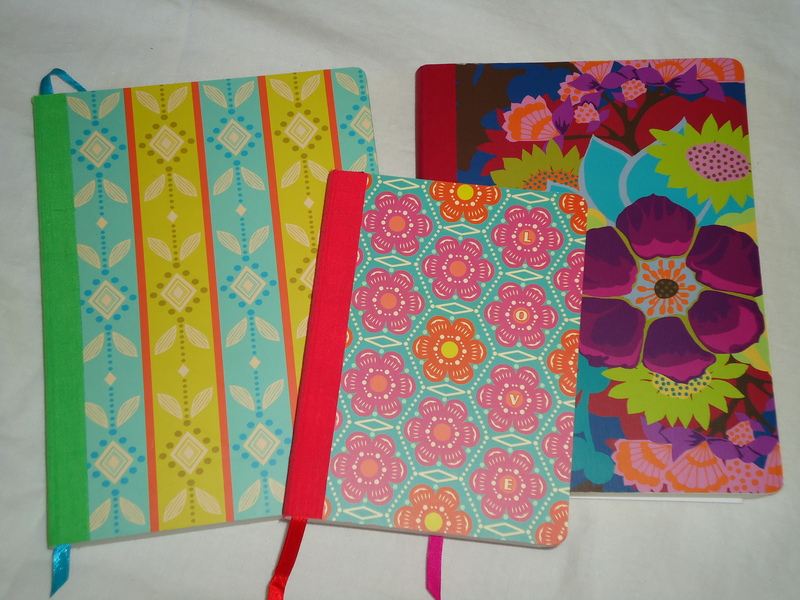 If I were to collect something, I would collect journals and sketchbooks, hence the name of my blog: Terri’s Notebook. 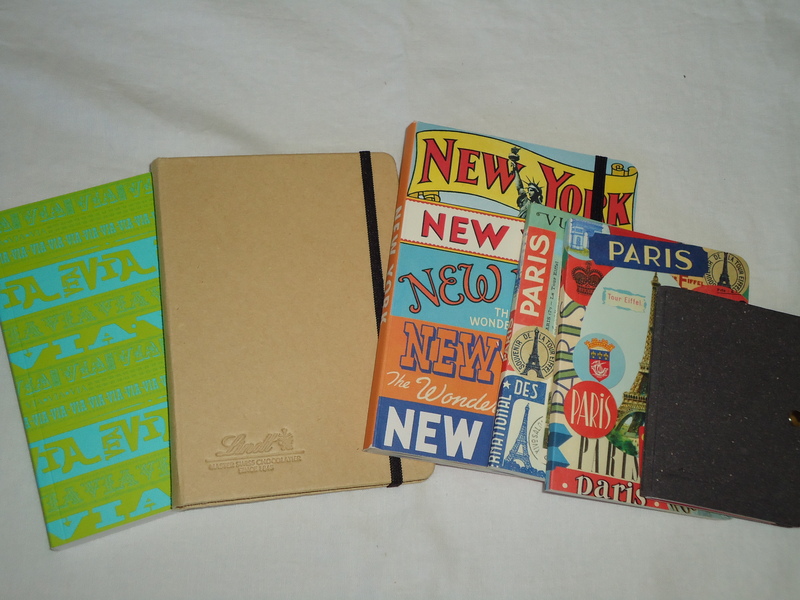 I have never been without a notebook. My mind is constantly working, so I try to write everything down as ideas, inspiration, and to-dos come up. 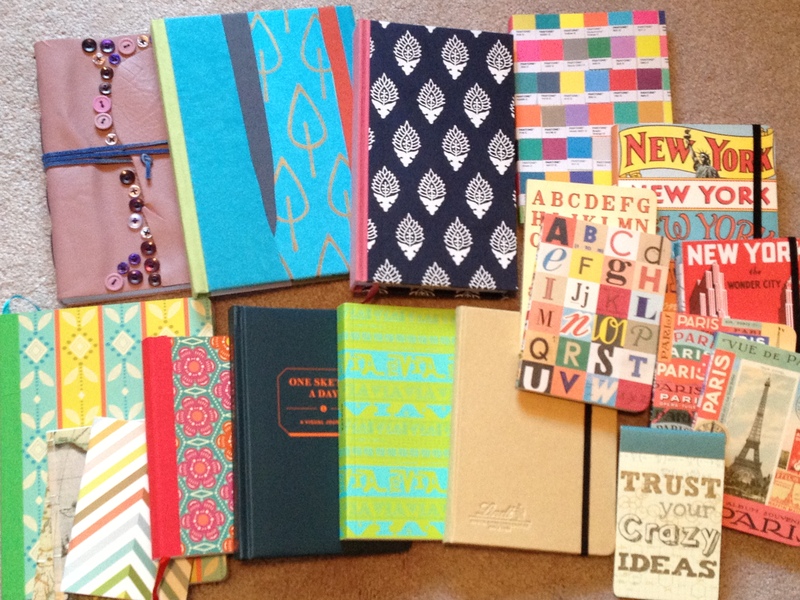 Ever since we had to create our own sketchbooks for my Concept Development class last semester, I’m addicted to all sorts of notebooks, journals, sketchbooks, and moleskins. 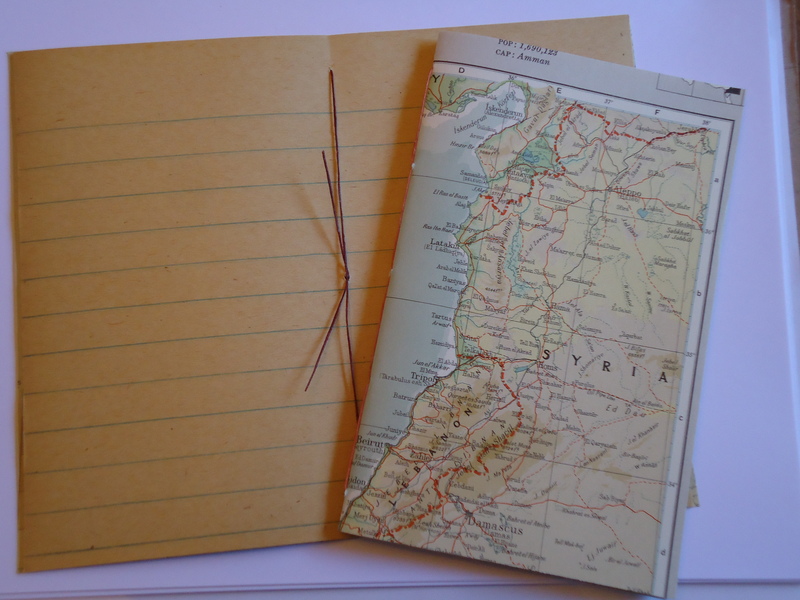 I especially love to make my own and learn new techniques for bookmaking. I’m happy to report that I actually use the sketchbooks I collect, and have been filling them up with regular drawing practice. My latest favorite is this colorful sketchbook I bought at Blicks. 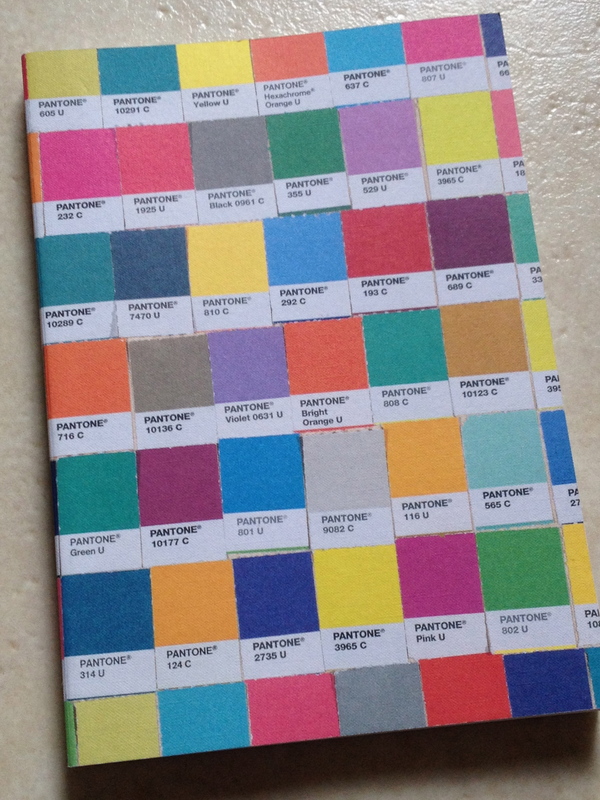 The cover is a collage of Pantone color chips. 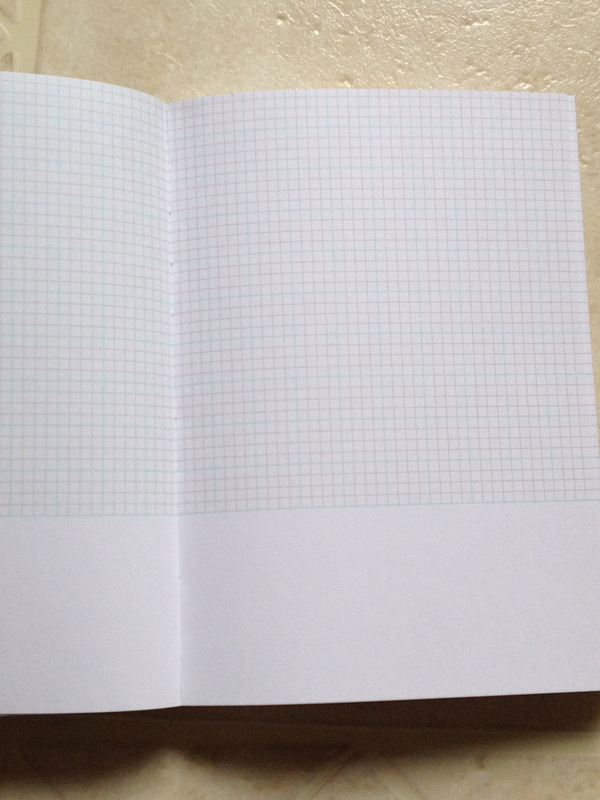 The inside pages are graph paper with blank space at the bottom of each paper. 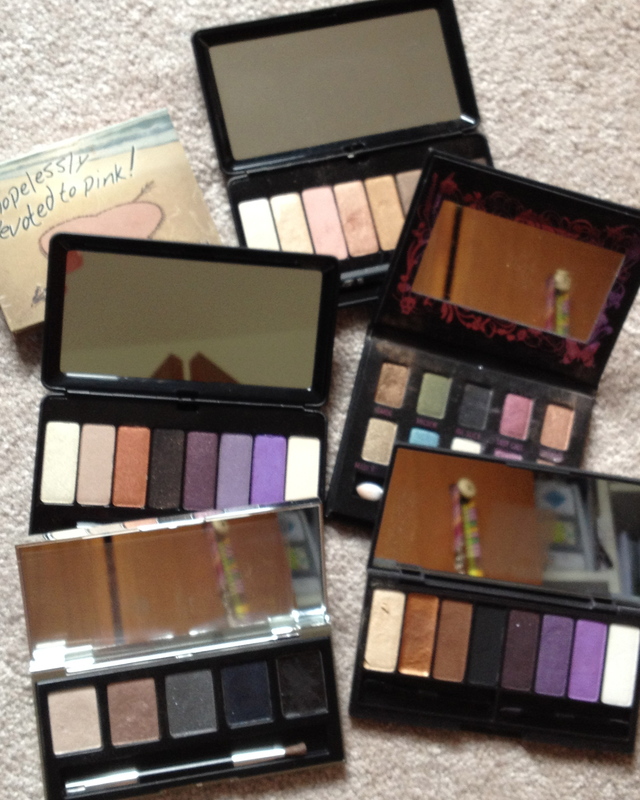 I also realized that I love eye shadow palettes, so add these to things I collect. I am usually drawn to them for the cool packaging. But they also have to have a selection of colors I will use. 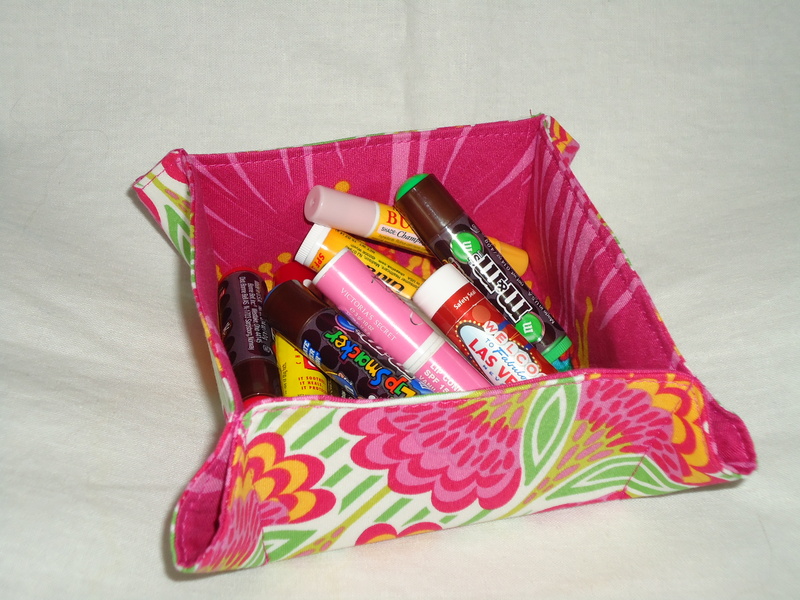 My husband reminded me that I love lip balms, so I guess I collect those too! it’s fun to collect things! oh yea, I do have a few pairs of Converse shoes too! actually, I have about 6 pairs, but I wear every single pair. 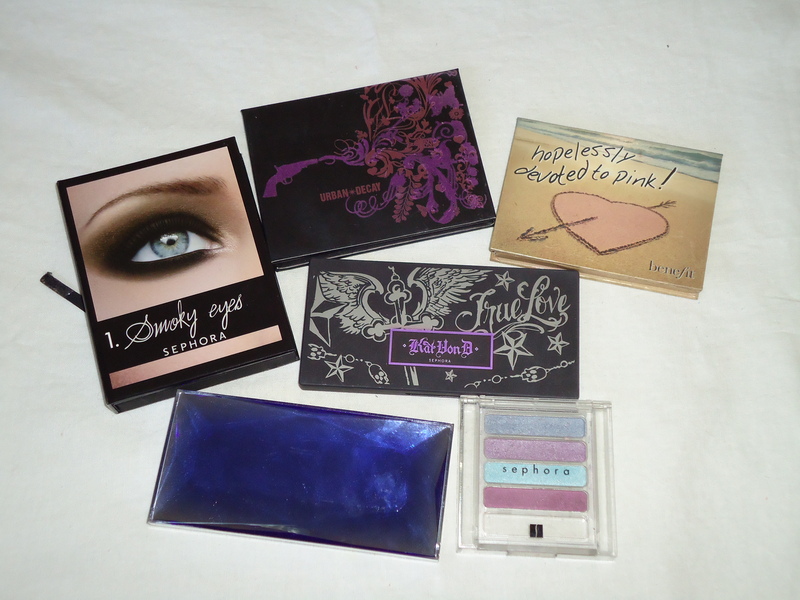 Those eye shadow containers are pretty cool! better I stop. Have a great weekend making sketches to your notebooks! 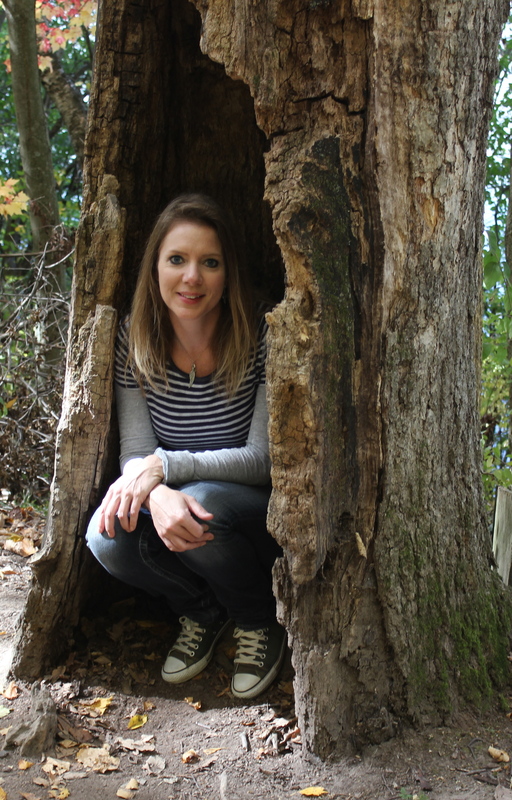 Oh, we are so alike… I too go through the house and weed out every few months, I have packed and moves so many times that I don’t allow myself to accumulate too quickly. I’m even that way about “stash”ing fabric. Love the DB sketchbook, I’m needing one of those. 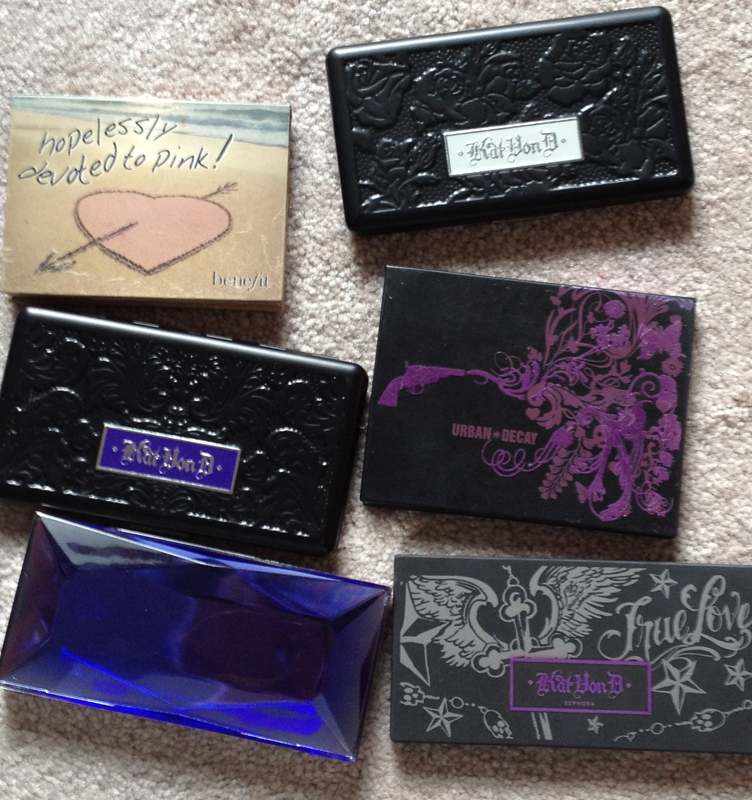 As for the eye shadow palettes… I’m addicted to them too! Great collection! Love your collection of sketch books. They’re all so different. No wonder you love to draw so much. I have wayyyy too many collections! LOL. I need to declutter in a big way. I collect craft supplies of any sort!